Rained mega-heavily this morning. I worried for a second is was going to get in through the sash windows. The joys of an English autumn! No better time, then, to go on a sodden travelogue with Van the Man. 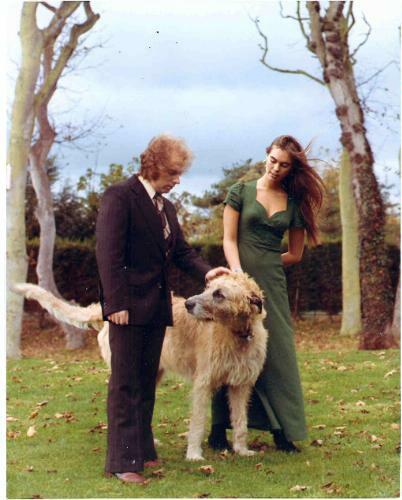 In 1973, Van Morrison took a holiday in Ireland, having not set foot in either the Republic or his native Northern Ireland since leaving for America after Them broke up in 1967. He had by this time released his early single, Brown Eyed Girl (which to this day is still probably his defining song, tired of it though he, and many of us, may be), he’d made his masterworks Astral Weeks and Moondance, established his critical and commercial reputation in America, gone through a divorce from his first wife Janet Planet and become engaged again, and was fresh off a long tour (which would later yield a live album, Too Late to Stop Now, recorded in Santa Monica, LA and London). So the Irish holiday was a chance to recharge his batteries after a few years of sustained activity. It certainly worked in that degree; he ended up writing the bulk of Veedon Fleece during this period, and began laying down tracks in California a month later. Beginning with Moondance, Morrison had settled into an idiosyncratic groove, creating a sound that mixed country, gospel and soul with a strong celtic feel in lyrics and instrumentation. But the albums – fine though they are, and sometimes transcendent (check out Listen to the Lion from St Dominic’s Preview for evidence of that) – lacked just a little something of the questing, exploratory jazziness that was the essence of Astral Weeks, with the majority of the tracks being conventionally structured, relatively concise songs built on a rock/R&B rhythm section. 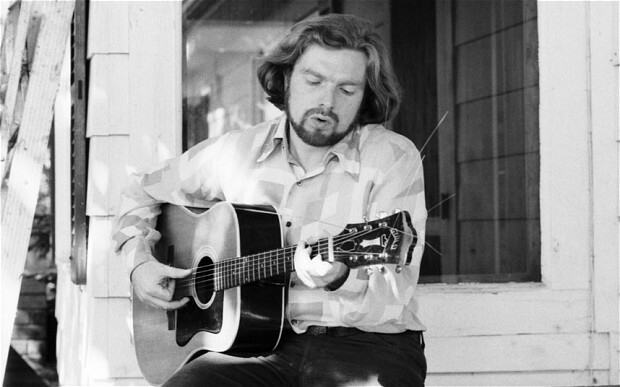 Veedon Fleece, then, as a return to the jazz-infused, pastoral and acoustic sound of Astral Weeks, was perhaps a little unexpected, even unwelcome, for those who had come to associate Van with the commercially successful sound that he had been working with since Moondance. Of his peak-era studio records, it’s consequently the least well known, the hardest to find in record shops, and least likely to be heard on the radio. This is the casual listener’s loss, as Veedon Fleece is a masterpiece, one that feels like an attempt to be Astral Weeks on side one and Moondance on side two, an audacious ambition if ever there was one. Its first side is perhaps the best 25 minutes of music he ever assembled (Fair Play, Linden Arden Stole the Highlights, Who Was That Masked Man?, Streets of Arklow, You Don’t Pull No Punches But You Don’t Push the River), and if it wasn’t for a couple of slightly pedestrian tracks on the second side, Van would have succeeded in his grand plan to bridge the two sides of his creativity in one record. As it is, his first two Warners records remain his essential must-buys, but Veedon Fleece should be on your shopping list ahead of St Dominic’s Preview, His Band and the Street Choir, Hard Nose the Highway and the rather drippy Tupelo Honey. Veedon Fleece is perfect late-night autumnal listening, its tone accurately captured in the cover photo of Morrison sitting on the grass outside a house in the country near Dublin Bay with two Irish wolfhounds, the grass he’s sat on almost preternaturally green, the sky behind him threatening yet more rain. I picked Streets of Arklow as representative of the album’s sound, tone and lyrical themes, but could have picked anything off side A or one of a few songs on side B. If you’re not familiar with Veedon Fleece, track down a copy. This entry was posted in Music and tagged Astral Weeks, Brown Eyed Girl, country, Fair Play, gospel, Hard Nose the Highway, His Band and the Street Choir, Linden Arden Stole the Highlights, Moondance, soul, St Dominic’s Preview, Streets of Arklow, Them, Too Late to Stop Now, Tupelo Honey, Van Morrison, Veedon Fleece, Who Was That Masked Man?, You Don’t Pull No Punches But You Don’t Push the River on October 20, 2013 by rossjpalmer.